Can Bars and Nightclubs be Liable for Injuries? Home / Uncategorized / Can Bars and Nightclubs be Liable for Injuries? When you visit a bar or nightclub in Las Vegas, you just want to have a fun-filled and exciting time. That’s when you enjoy some leisure moments, socialize with friends or even enjoy a night out on the dance floor. However, as a reputed law firm in Las Vegas, we know from experience that injuries can and do occur in these businesses. These spaces are generally poorly lit and crowded, making it easier for accidents and injuries to take place. If you or someone you know has suffered an injury at a bar or nightclub, it’s important that you reach out for services from a skilled and experienced brain & spine injury lawyer from Titolo Law Office. While bars and nightclubs are meant to provide relaxation and entertainment, there are a number of risks associated with them. Each year, our Las Vegas law firm handles a large number of property liability and personal injury cases that have resulted from dangerous situations on bar and nightclub properties. Falls, trips, and slips are the most common types of accidents in Las Vegas. It’s a misconception that slip-and-fall cases cause very minor injuries and that they aren’t serious enough to file a lawsuit. However, these seemingly minor accidents can pose a risk of severe injuries. 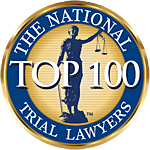 Over the years, our expert Las Vegas injury lawyers have handled cases involving brain injury, spinal cord injury, broken bones, and even death. In many of these cases, we have seen Las Vegas businesses display a consistent failure to ensure the safety and wellbeing of their customers. In these situations, it’s possible for the injured or affected parties to take legal action against the business. If the Nevada accident attorney can prove that the incident took place due to the business’s negligence, they can be made liable for the injuries. What Leads to Injuries at Bars and Nightclubs? Our team of personal injury attorneys have represented hundreds of liability clients for accidents in Las Vegas. We have seen that negligent bar and nightclub owners often fail to ensure the reasonable safety of the guests. Many channel their resources elsewhere such as new décor or marketing strategies in order to attract more customers. They often do this by compromising safety regulations at their businesses. 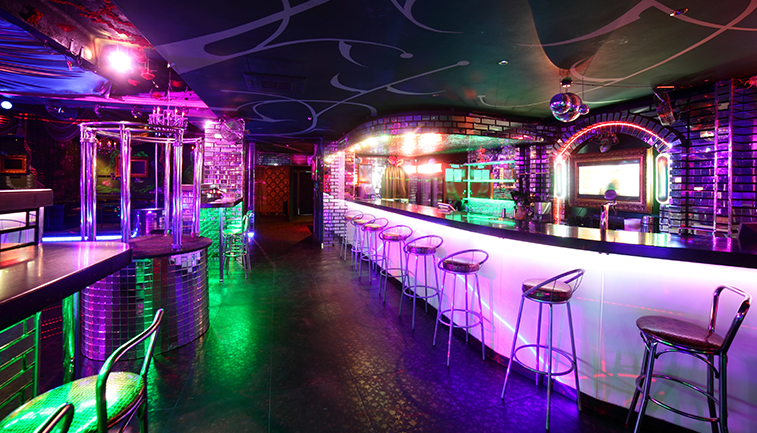 Careless ownership and operation of bars and nightclubs can lead to severe injuries. Food and drink poisoning– Lack of hygiene and serving expired foods or drinks can cause food & drink poisoning in its guests. It isn’t easy to prove these cases because the symptoms can be varied. Sometimes it can take days or even weeks to appear. Slips and falls- Though common, slips and falls can result in life-changing injuries. While minor injuries like bruised kneecaps or elbows may not qualify as grounds for a dispute, certain slip and fall injuries do end up causing very serious harm. Torn ligaments, brain and spinal cord injuries and broken bones are some of the more severe ones. Most slip and fall cases are caused by systematic failure to protect the consumers. It means there are various hazards inherent to how the establishment operates. This includes policies that show blatant disregard for the safety of their guests. For example, a bar that doesn’t have a policy in place to promptly mop spilled drinks could be considered negligent. Leaving these spills on the floor of a busy bar can cause a slip and fall. It becomes the owner’s responsibility to have rules in place that effectively help prevent accidents like these. If the personal injury attorney proves that the incident occurred due to the property owner/manager’s negligence, the latter can be held liable for the accident and injury. The court may direct the owner to pay for the affected individual’s pain and suffering, medical bills and lost wages. Nightclubs in Las Vegas are usually the settings of serious personal injury accidents. These could range from alcohol-related incidents, assaults from lack of security, and uncontrolled crowds to security guard abuse. Due to the nature of the business, nightclubs in Las Vegas owe duties of care to all their guests. Every nightclub is required to properly train employees in various aspects of improving safety on the property. They need to recognize guests who are just too intoxicated to continue consuming alcohol. Businesses are also responsible for ensuring that there is sufficient security throughout the indoor areas as well as parking lots. If you have been injured while at a nightclub in Las Vegas, it’s important that you hire a good personal injury attorney immediately. Titolo Law Office is educated on the legal bindings of nightclubs, bars, and similar businesses to provide you with the legal assistance you need. It’s never a good idea to brush off the severity of your injury at a bar or nightclub. If you have been seriously injured, you have every right to take legal action against those responsible for the situation. Expert witness testimonies and medical documentation can help prove the severity of your injuries in front of a jury or judge. Our personal injury lawyers can improve your odds of receiving rightful compensation. Millions of people visit bars and nightclubs across Las Vegas each year, not expecting that their night outing would result in a severe injury. It’s the business owner’s duty to warn customers about potential dangers, search for unknown risks and fix known property risks. If their failure to fall in line with these aspects results in a customer’s injury or death, they can be sued for negligence. If you or a loved one has been injured at a bar or nightclub in Las Vegas, contact a personal injury lawyer at our law firm. We will work in a determined manner to get the compensation you deserve. Next Post Is Inadequate Security a Good Reason to File a Lawsuit?